Its best not to bother. They IGNORE the will of the people in favor of running over them with what they want. 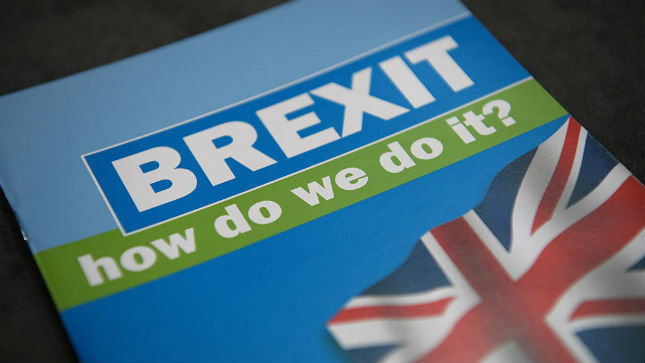 A Sky News survey published Monday found that 53 percent of respondents would support holding a referendum allowing them to choose between leaving the European Union (EU) as agreed to in the deal negotiated by the EU, leaving without a deal or remaining in the EU. Thirty-six percent opposed a second referendum. The majority of people in the United Kingdom said they would support a second Brexit referendum, according to a new poll. Every election in the world can be overturned saying that the other side lied and therefore the election is not valid. YOU made it personal going after me for bumping my own thread, did you not? I simply asked why you were avoiding commenting on his post as a sad bump attempt. How long are you going to try to avoid the topic here? What did MoleUK say that was wrong? I’ll copy/paste it for you in case you forgot! Brexit voters didn’t vote for a hard Brexit. Nor did they vote for May’s compromise deal. They voted for something that was always an impossibility. And it was a non-binding referendum, just fyi. Whether MoleUk was personally against Brexit is irrelevant to whether what he said was true. Do you disagree or agree with the above? Once again, two UK citizens are posting in this thread, yet the Americans who don’t live there are talking over them and ignoring them. Do you people NEVER have a moment’s shame in belieiving you know more than the people that actually live there? I mean…seriously…do you NEVER experience a moment’s shame broadcasting your ignorance for all to see? Seems to me ONLY 2 anti-Brexit don’t represent the MAJORITY who voted for Brexit. Maybe it’s just me, but the count was a majority DID vote for it, correct? What does this have to do with anything I said? I don’t believe him. I don’t think he represents the majority. Simple as that, the majority voted to leave. He’s ONE brit. He’s not the majority. How can he represent all brits? Mercy, the left thinks they are sooooo correct, if they think something the majority does! BTW: I wasn’t avoiding the topic, I just disagreed with your & his take on it. I don’t think so at all. The elites wear people down. Eventually I think they will get enough & rebel. I don’t believe him. I don’t think he represents the majority. Simple as that, the majority voted to leave. He’s ONE brit. He’s not the majority. How can he represent all brits? I simply asked for you opinion on what he said. He’s there, you aren’t. And we’ve seen evidence in this thread that he’s right. Mercy, the left thinks they are sooooo correct, if they think something the majority does! What on earth is this claptrap? Irrelevant to whether the people of England realized the full scope of what a full “Brexit” was going to entail. I wasn’t avoiding the topic, I just disagreed with your & his take on it. Which is why it took three attempts to get an explanation. Right. Who you ask & how you ask gives you the desired poll results. Going into the Brexit vote, the naysayers was polling to win. How’d that work out for ya’? Just like Hillary was going to beat Trump in a landslide according to the polls. The left never accepts the results of an election that didn’t go their way. No it was 3 attempts to help you understand, which you obviously don’t, perhaps willfully. No, three attempts to ask you whether or not you agreed with Mole, which were dodged. Oh, & you have seen the evidence he’s right. It’s in this thread. Scroll up. Going into the Brexit vote, the naysayers was polling to win. How’d that work out for ya’? The polling had a 2 point margin on the day of the vote. Within the margin of error. Just like Hillary was going to beat Trump in a landslide according to the polls. Like I said, you willfully don’t understand, & no amount of debate or explaining will get an acknowledgment from you. Its pearls before swine & a waste of time. I well remember the absolute shock on the faces of the left when the reality of Hillary losing hit them. She was ahead by like 10% until right at the last day or so to make the biased pollsters look credible. No she wasn’t. Why do you keep repeating falsehoods? Wow, a complete re-writing of history. FiveThirtyEight had Clinton up less than 4% in the polls. They had Trump at like a 30% chance of winning.